\r\nSuzette Martinez Standring is syndicated with GateHouse Media for her spirituality columns. \r\nHer Amazon bestselling Kindle and book, The Art of Opinion Writing: Insider Secrets from Top Op-Ed Columnists features the personal stories, obstacles, triumphs, and writing strategies from long-time columnists such as Ellen Goodman, Kathleen Parker, Dave Astor, Dave Lieber, Connie Schultz, Cal Thomas, Clarence Page, Joel Brinkley, Derrick Jackson, Mike Masterson, and others. (RRP International, 2013) It's available on Amazon. \r\nHer previous book, \"The Art of Column Writing: Insider Secrets from Art Buchwald, Dave Barry, Arianna Huffington, Pete Hamill and Other Great Columnists,\"is used in university journalism courses and has won awards. 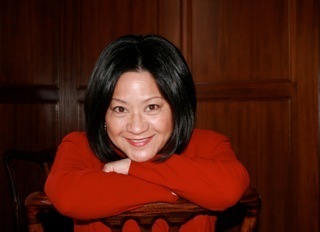 \r\nShe is a past president of the National Society of Newspaper Columnists and presents writing workshops nationally. She lives in Massachusetts. Suzette Martinez Standring is syndicated with GateHouse Media for her spirituality columns. Her Amazon bestselling Kindle and book, The Art of Opinion Writing: Insider Secrets from Top Op-Ed Columnists features the personal stories, obstacles, triumphs, and writing strategies from long-time columnists such as Ellen Goodman, Kathleen Parker, Dave Astor, Dave Lieber, Connie Schultz, Cal Thomas, Clarence Page, Joel Brinkley, Derrick Jackson, Mike Masterson, and others. (RRP International, 2013) It's available on Amazon. Her previous book, "The Art of Column Writing: Insider Secrets from Art Buchwald, Dave Barry, Arianna Huffington, Pete Hamill and Other Great Columnists,"is used in university journalism courses and has won awards. She is a past president of the National Society of Newspaper Columnists and presents writing workshops nationally. She lives in Massachusetts.